Our coastal neighbor, Port Hueneme, has been in the news a lot this year due to beach erosion which is threatening streets and infrastructure built along the shoreline. Over the summer the city began reinforcing the seawall that protects the road, but didn't have money to complete the project. 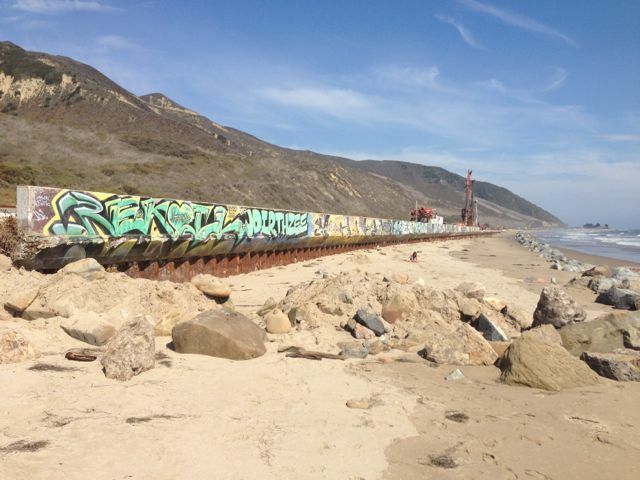 The California Coastal Conservancy recently approved $2M for additional construction. 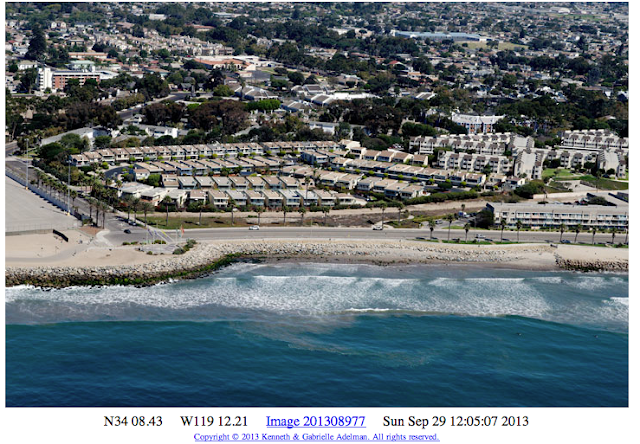 The aerial photo below shows the extension of the rocks along the beach toward the pier. This dramatic erosion is the direct result of federal budget cuts which eliminated funding for the required biannual harbor dredging. 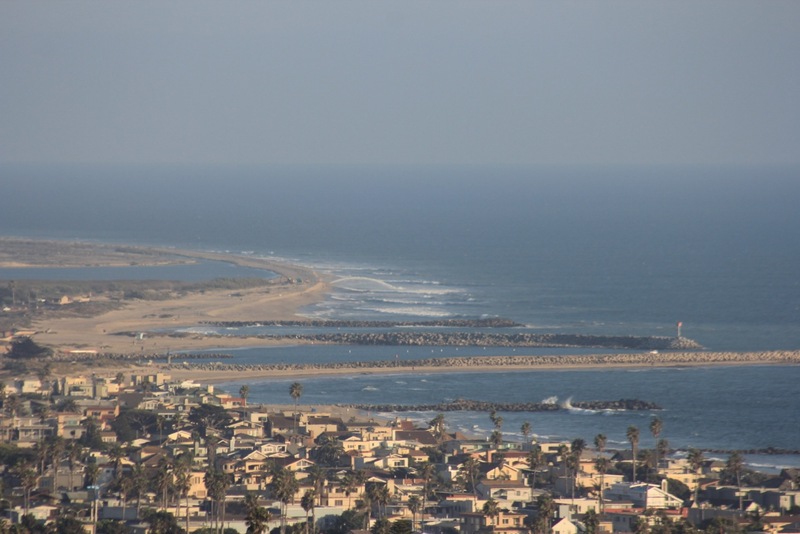 Harbor jetties block the constant movement of sand down the coast, so regular dredging is required to keep the harbor mouth open and bypass sand. 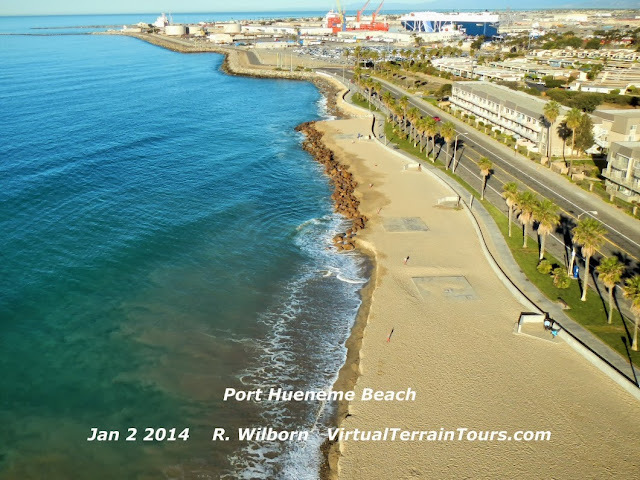 Hueneme beach is entirely dependent on sand that is dredged from Channel Islands harbor. This aerial overview shows the sand that has collected in the trap created by the offshore breakwater at Channel Islands harbor. If this maintenance is not completed beaches "downstream" are starved of sand and rapidly disappear. 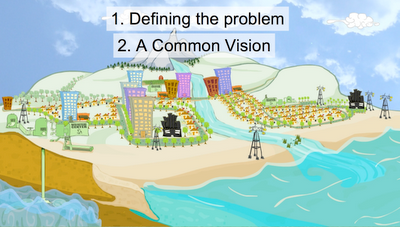 Ventura Harbor has been suffering the same problem. This photo was taken while the dredge was operating in February 2013. These photos show how much sand has built up in the Ventura Harbor sand trap. 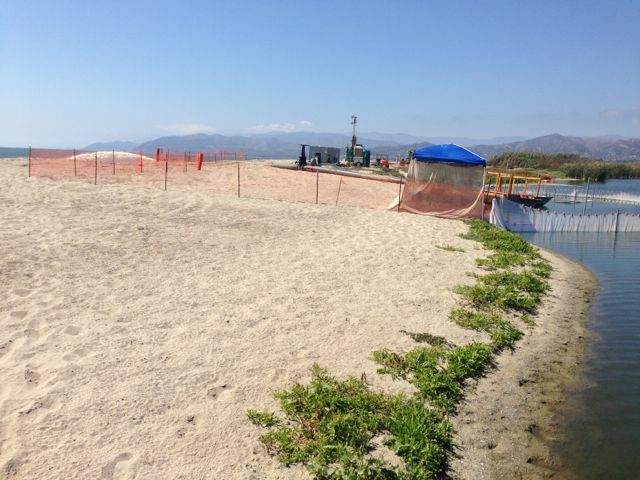 After nearly a year of meetings and conversations with the Army Corps of Engineers the Ventura Harbor received $2.5 million of the $5.9 million it needs to dredge. That money only paid for about 235,000 cubic yards in 2013, or less than half the 600,000 cubic yards sand required annually to keep sand moving down the coast. According to a recent Port Commission newsletter, Ventura Harbor anticipates about $3.7 million in federal funding, enough to dredge up to 400,000 cubic yards in February or March. Because this is still partial funding it will result in accumulation of another 200,000 yards to the ongoing buildup in the sand trap and downcoast deficit. The problem is Congress has not allocated enough money to replenish the badly eroded beach with more sand, something the U.S. government is obligated to do. That obligation was made decades ago when the Port of Hueneme was built. 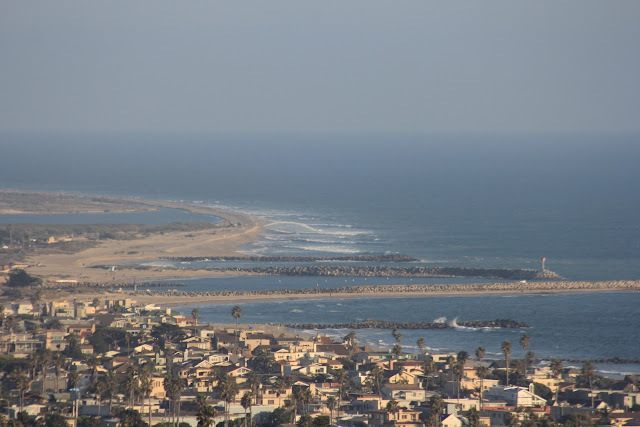 The port project interrupted the normal flow of sand down the coast that had replenished not only Hueneme Beach but many other local beaches as sand washed away. 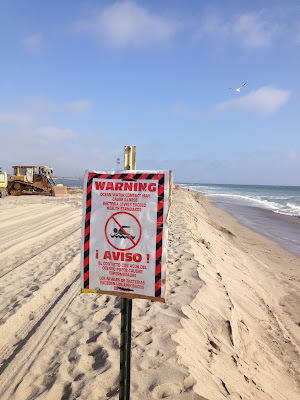 Hueneme Beach is supposed to be replenished with sand every two years through dredging by the U.S. Army Corps of Engineers. 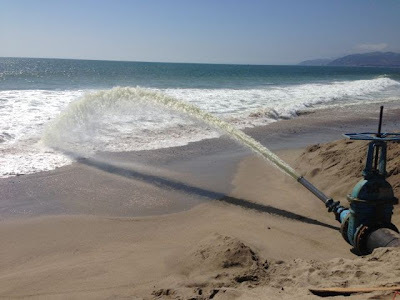 The sand is taken from a sand trap located at the mouth of Channel Islands Harbor. In the most recent dredging, the corps was unable to pump the 2.5 million cubic yards of sand required by the beaches because of what federal officials called budget restraints. Our area has some amazing backcountry. So when the surf is flat, there's still lots of things to do. 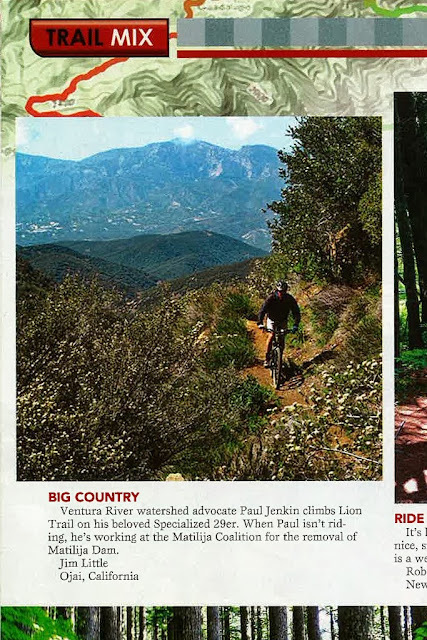 I have hiked and biked the local trails for decades, and generally spent a lot of time outdoors. Apart from the usual cuts and bruises (and a mild concussion), I've always stayed fairly safe. No rattlesnake, scorpion, or shark bites. But last April, a ride on the trail pictured above changed my life. Over the years I must have been bitten by hundreds of ticks. But this time I got a bad one. I'd always heard of Lyme Disease, and was aware of the potential hazard from ticks. If caught soon, ticks can be removed fairly easily. But left on the body for too long, a tick will embed itself under the skin to feed on your blood. Along with anticoagulants and anesthetics, it can inject a potentially life threatening bacteria into your body - a spiral-shaped bacteria (spirochete) called Borrelia burfgdorferi. Common on the East Coast of the United States, Lyme Disease is becoming more prevalent in our area. 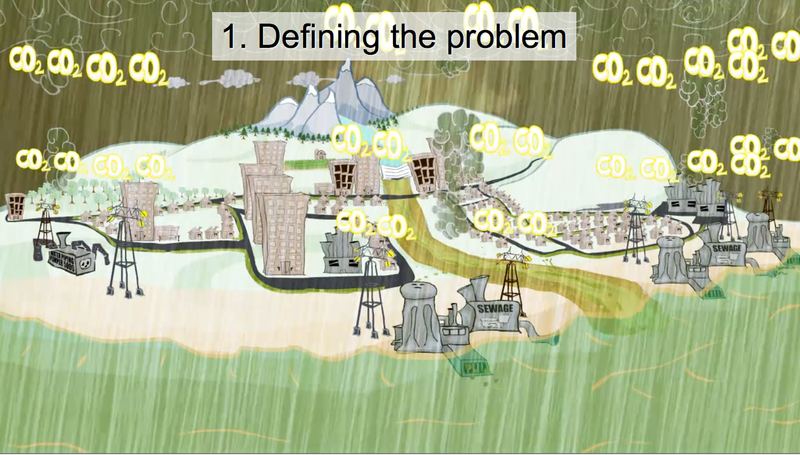 Some attribute this spread to our intrusion on natural processes and climate change. It seems everyone I talk to knows someone affected by it. Unfortunately mistreatment and misdiagnosis is the norm, which can lead to long term disability and even death. I will be ok, but it will take many months to recover. Although my initial diagnosis and treatment was inadequate, I am now under the care of a LLMD (Lyme Literate MD.) But this was only because I knew exactly what happened and received good referrals. Those less fortunate endure years of misdiagnosis and an endless misery that I would wish on nobody. Up to fifty percent of ticks in Lyme-endemic areas are infected with Lyme or other tick-borne diseases. 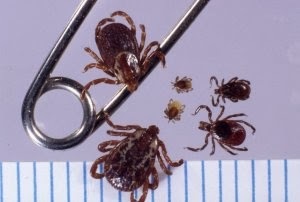 With odds like that, if you have proof or a high suspicion that you've been bitten by a tick, taking a "wait and see" approach to deciding whether to treat the disease has risks. The onset of Lyme disease symptoms can be easily overlooked or mistaken for other illnesses. Once symptoms are more evident the disease may have already entered the central nervous system, and could be hard to cure. This is one case in which an ounce of prevention really is worth a pound of cure. 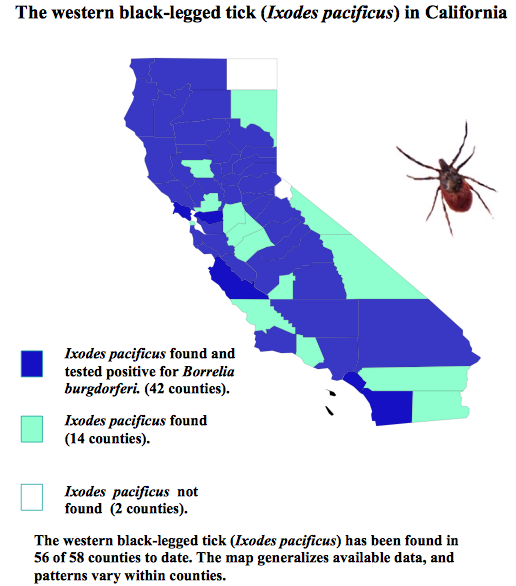 Research shows that Lyme is present throughout California, as illustrated in this map. As early as 1999, LA County vector control documented Lyme carrying ticks in the Santa Monica mountains recreation area. More recently, a 2013 press release alerted the public that Lyme Disease-Carrying Ticks Found Lurking in New Areas in Santa Monica Mountains. Who knows why Ventura County and local doctors are still in denial? I post this information so people will be aware that Lyme Disease is a serious problem in Southern California, and that although your general practitioner may not be 'lyme literate,' there are doctors who can help. The Nature Conservancy is the lead in a study to assess potential changes to our coastline with future sea level rise and other climate change effects. 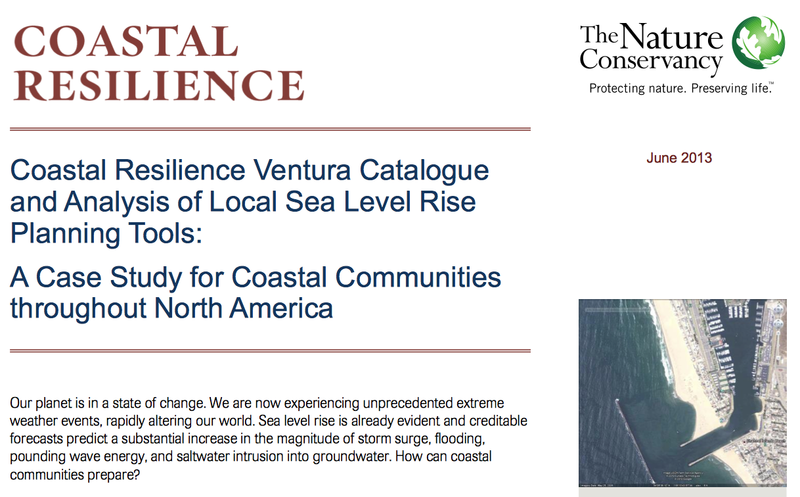 According to the website, The Nature Conservancy is leading Coastal Resilience Ventura - a partnership to provide science and decision-support tools to aid conservation and planning projects and policymaking to address conditions brought about by climate change. The primary goals of Coastal Resilience Ventura are assessing the vulnerabilities of human and natural resources, and identifying solutions that help nature help people. Another product of this project is a web mapping tool to help illustrate potential inundation areas from sea level, tides, waves, and river flooding. These aerial photos provide a wide angle view of the entire project site. Despite a dry year, the progression from February to September shows that native plants are doing well in the constructed dunes. Repeated weeding has kept invasive weeds under control. The seasonal difference in the high tide line is also evident. The toe of the cobble berm is visible on the west end (left of photos) in February, but buried during the summer. A boardwalk will be constructed in December, an additional part of the master plan that is being funded by the California Coastal Conservancy. We will seed the area around the boardwalk with purchased and collected seeds after construction is complete. Photos below are from the volunteer workday on Saturday morning, November 2. We continue to weed non-native plants (mainly sea rocket, ice plant, bermuda grass) from the dune restoration area. Volunteers also collected seed from some of the established plants and broadcast throughout the dune areas. On September 4, 2013 Santa Barbara Channelkeeper and the Environmental Defense Center filed a lawsuit in federal court against Gralar LLC, dba Mosler Rock Product, for violations of the Clean Water Act and the Endangered Species Act at its Mosler Rock Ojai Quarry. Over the past several years, Channelkeeper and various regulatory agencies have documented significant pollution problems at the Ojai Quarry. The Quarry is a 30-acre rock mine located on the banks of the Lower North Fork Matilija Creek, a major tributary of the Ventura River renowned for its pristine, free-flowing waters and excellent habitat for wildlife, including the endangered southern California steelhead trout. 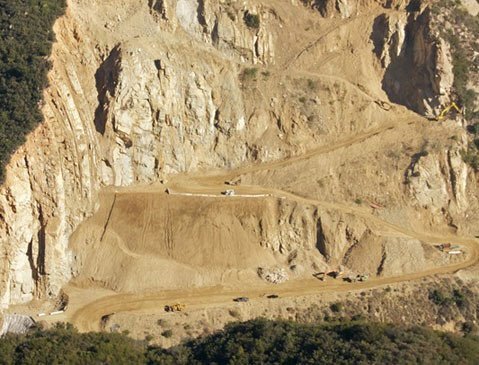 Quarry operations are conducted on steep slopes directly above the creek, causing harmful sediment discharges and periodic landslides and rock fall into the creek. Channelkeeper has attempted to address the water quality and habitat degradation issues at the Ojai Quarry for years through cooperative approaches, including direct dialogue with the facility’s owner and repeated appeals to regulatory agencies for enforcement action. Despite these efforts, however, the Quarry has failed to implement adequate erosion control and storm water management measures and regulatory agencies have neglected to enforce the law. 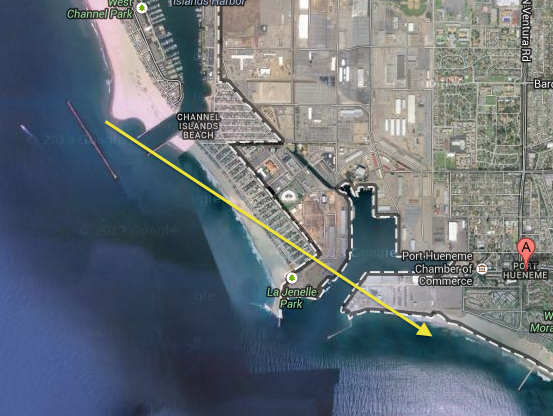 Therefore, Channelkeeper decided to team up with the Environmental Defense Center (EDC) to pursue legal citizen enforcement action as a last resort. On October 31, 2012, Channelkeeper and EDC sent a Notice of Violations and Intent to File Suit against Gralar LLC, dba Mosler Rock Product, and owner/operator Larry Mosler. Our subsequent settlement negotiations with the owner failed to produce an acceptable solution, so Channelkeeper and EDC filed suit against the Ojai Quarry today. Our suit alleges numerous and ongoing violations of the Clean Water Act and the Endangered Species Act which pollute the water and degrade habitat for steelhead. Click here for a detailed fact sheet outlining the basis of our suit. We hope our filing of the lawsuit will finally catalyze effective and enduring action to stop the pollution and habitat degradation caused by the Quarry. We will be re-initiating settlement negotiations with the owner shortly to that end. On August 27, Ojai residents scored a resounding victory in the bid to regain local control of the city's water supply. 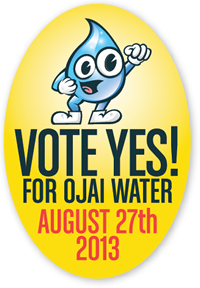 A majority of 87% of Ojai voters supported the takeover from Golden State Water, a for-profit corporation accused of profiteering. Ojai FLOW developed a strategy that included eminent domain takeover of the water company supported by a local bond measure. Water management will be taken over by the Casitas Municipal Water Company which currently serves the majority of the Ojai Valley and part of Ventura and operates under the direction of a locally elected board. 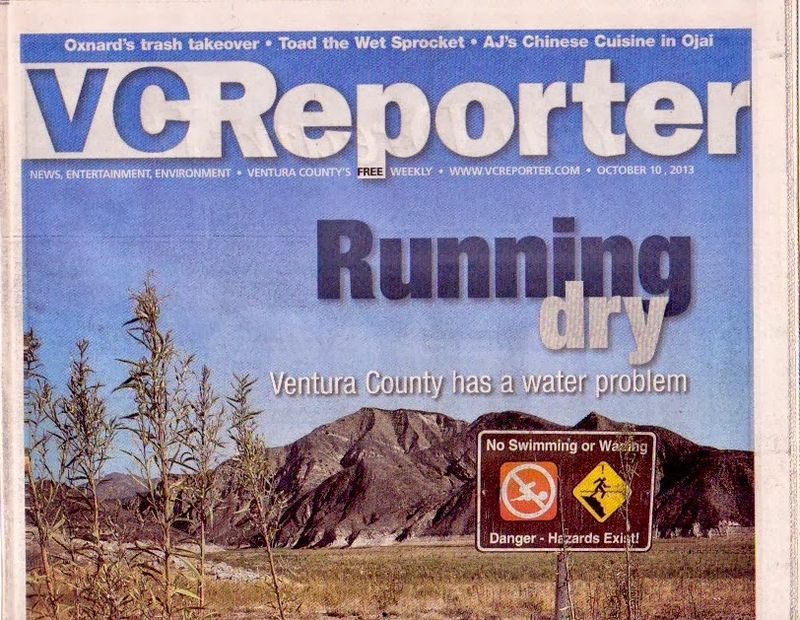 The hearing before Ventura County Superior Court Judge Mark Borrell was postponed after he ruled that Golden State Water Company had not given adequate notice of its intent to challenge the Casitas Municipal Water District's takeover. How would you like a big group of surfers to help you give CPR to your garden? The Ventura County Chapter of the Surfrider Foundation can help you create an Ocean Friendly Garden by applying the principles of CPR, which stands for Conservation Permeability and Retention. 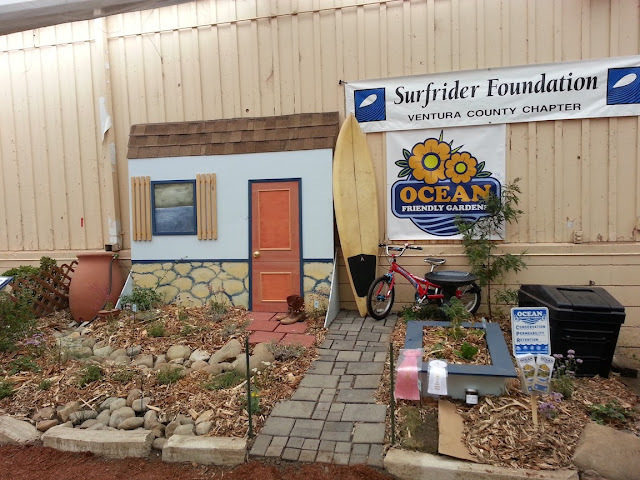 Today is the last day of the Ventura County Fair, where the local chapter of the Surfrider Foundation has an actual Ocean Friendly Garden on display in the Floriculture Pavilion. If you miss it today, you still have many more opportunities to learn these principles. These landscapes merit the Surfrider-trademarked term “Ocean Friendly Garden” because they conserve water, native habitat and energy with local and edible plants; create permeable soil and hard surfaces to absorb and filter polluted runoff; and retain rainwater to irrigate plants, replenish creeks and groundwater, and prevent flooding downstream. Surfrider volunteers recently re-landscaped a yard in Ventura’s midtown area to make it an Ocean Friendly Garden. They removed the lawn, then “sheet mulched” (smothered) the remaining roots. Rainwater from the roof was redirected into dry streambeds planted with climate appropriate plants plus mulch to slow, spread and sink the rainwater. The project also created cuts in the curbs of the parkway (area between street and sidewalk) to absorb street runoff. The City has created a no-cost curb-cutting permit that makes it possible to re-do our planted parkways to capture the majority of street runoff for a fraction of the cost of a more engineered solution. OFG is part of Surfrider’s larger program to “Know Your H2O,” which is described in our video titled “Cycle of Insanity.” While new development must apply CPR-type requirements, existing developments do not. It seems insane to channel all rainfall into storm drains that deliver polluted runoff directly to our rivers and coasts, wasting water that could be directed into our over-pumped aquifers and waterways. It also seems insane to discharge millions of gallons of highly treated wastewater (from sinks, showers, washing machines and toilets) into the ocean every day. From the dry Ventura River to the flooded McGrath State Beach Park, to the east county cities that import water from northern California, Ventura County has many signs that our management of water can be improved. 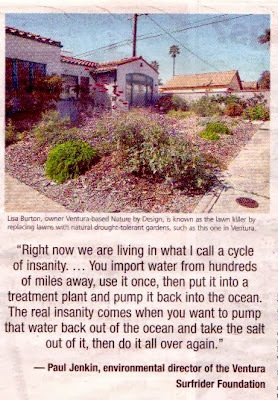 For example, while about half the water consumed within the city of Ventura is used on landscapes, the rest is used just once in our homes before we send it to the ‘wastewater’ treatment plant. There it is treated and pumped into the Santa Clara River estuary, contributing to the flooding problem at McGrath State Beach. One solution may be recycling this wastewater, which could not only enhance water supply but also reduce impacts on our drying rivers. 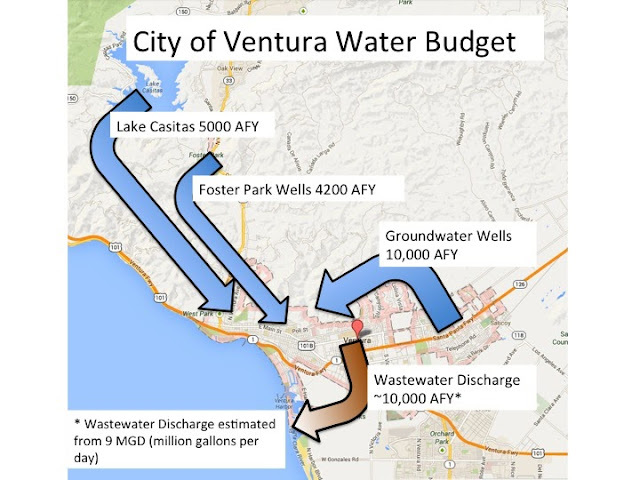 Ventura and other facilities in the County, such as the Moorpark Wastewater Treatment Plant, already sell recycled water for use on golf courses. In Orange County reclaimed water is pumped into the ground to counteract the saltwater intrusion that is also a problem in our aquifers. And as technologies advance, direct potable reuse (for drinking) will become the norm. Although individual citizens have little control over infrastructure, the solution begins at home. This is why Surfrider's “Ocean Friendly Gardens” program is catching on throughout the region. 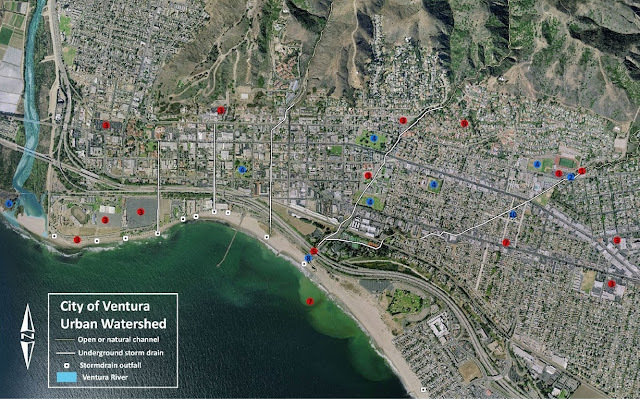 Surfrider, City staff and trained professionals have helped many local homeowners improve their gardens as well as assisted with several municipal projects in the City of Ventura. 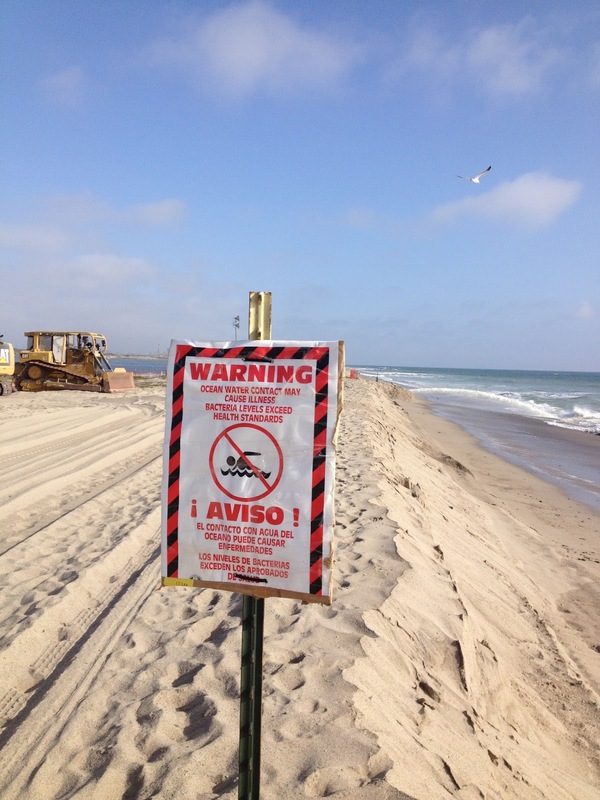 Surfrider volunteers may not be able to help everyone. So keep your eye on the environment at free classes on Ocean Friendly Gardens, sponsored by the City of Ventura and Aqua-Flo irrigation supply store, starting in September. Check out Surfrider events and see if your local chapter is able to assist you. 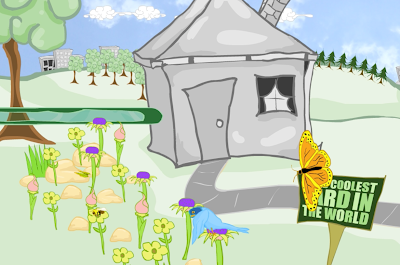 Also, look at the gardens on the Ocean Friendly Garden map, and start evaluating your garden and making changes – or hire a professional who applies CPR. The Ventura Chapter's Ocean Friendly Gardens crew's hard work paid off again! 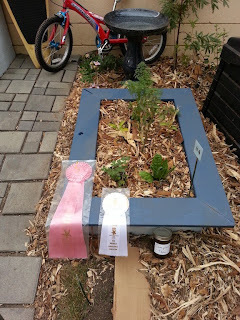 Their display at the Ventura County Fair is an award winner! The Chapter's 'OFG' committee saw a display at the annual fair's 'Home and Gardens' section as a way to provide an example, and not just handouts, of the simplicity, beauty and savings of Ocean Friendly Gardens. The design on the exterior of one of the Fairgrounds buildings utilized the existing downspout: it looks like it was meant to be there! The Fair started on Wednesday, and chapter volunteers will be on site during the next two weekends to explain Ocean Friendly Gardens to the thousands of visitors that will pass by the exhibit. During the week, there's a box in which ofg brochures are available for the taking, and there's a flipbook describing the display's elements. The best part - the display utilized re-purposed or reclaimed materials so that the entire project cost only $8! The County of Ventura obtained permits to install a system to execute controlled draining of the Santa Clara River Estuary. This is a temporary 'fix' to the problems caused by the accumulation of wastewater in this dry year when the rivermouth did not breach. 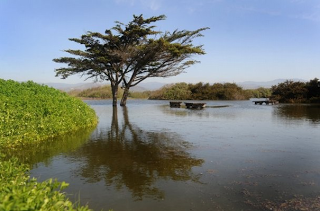 McGrath State Beach, which was to re-opened this year following an outpouring of public support, has been closed all summer due to a flooded campground. 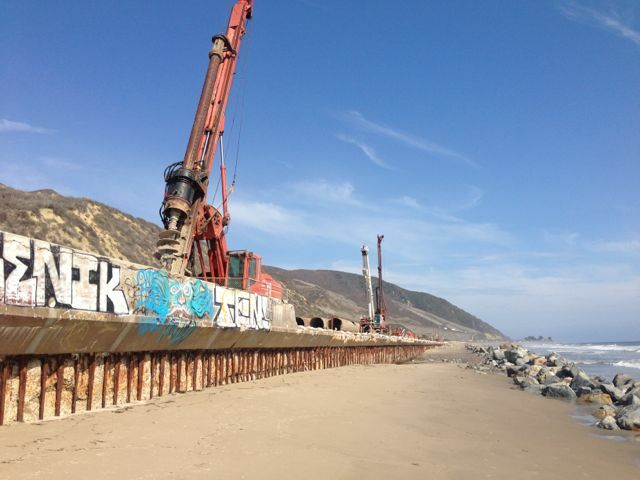 CalTrans is currently working to rebuild the seawall near Solimar Beach along old PCH / Hwy 101 north of Ventura. This is a popular beach during the summer, and although beach access is still possible from either end it's looking pretty ugly. It appears that the riprap has been moved away from the toe of the seawall and placed in the surf zone to protect the project area from wave action. All of these rocks should be removed upon project completion. Demolish approximately1,800 linear ft. of existing seawall and replace with a new seawall of the same length and height in a further landward location; remove approximately 1,800 linear ft., 12 ft. wide existing rock revetment located immediately seaward of the existing seawall to be demolished; construct a new public access stairway and a new public access ramp to the beach; install three new public access signs and two new ADA- compliant parking spaces and signs; and repair and pave existing adjacent road shoulder and bicycle lane areas. As originally proposed project did not include the removal of any portions of the existing 1,800 linear ft. long rock revetment located seaward of the existing seawall. 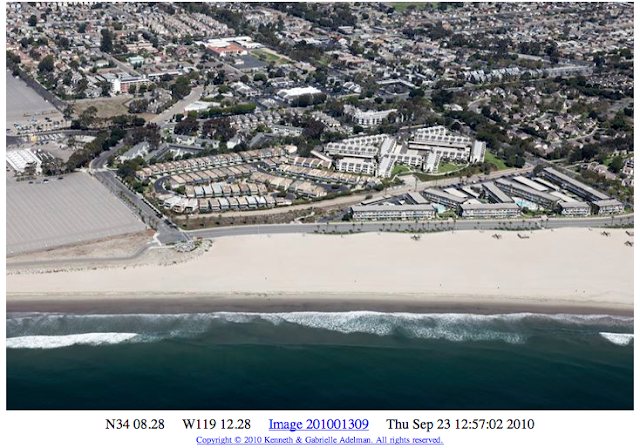 Moreover, the project also only included removal of the top 10 ft. of the existing seawall, leaving the lower portion visible above the typical elevation of beach sand. Through collaboration between Commission staff and the applicant, the proposed project has been modified to now include removal of the existing 1,800 linear ft. seawall down to two feet below the lowest expected beach sand profile and complete removal of the approximately 1,800 linear ft., 12 ft. wide existing rock revetment, thereby reducing potential visual impacts and increasing the area of useable beach. 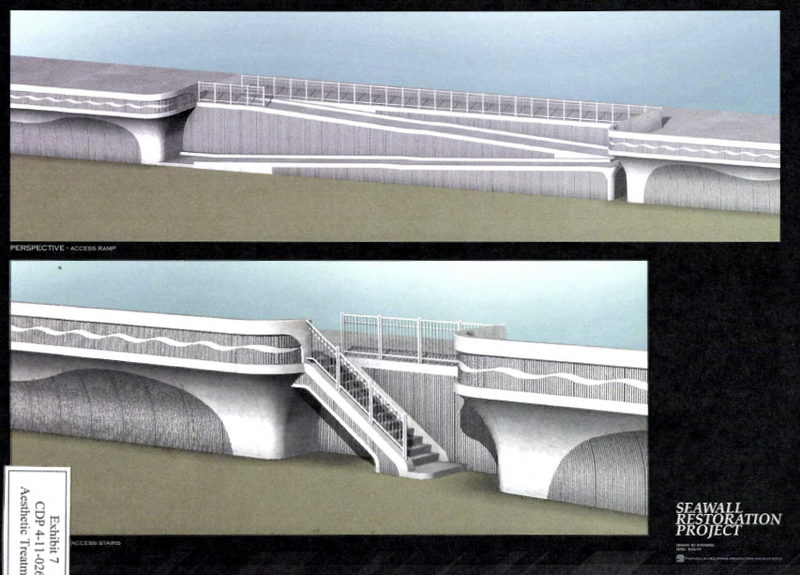 Thus, as now proposed to demolish all visible portions of the existing approximately 3 ft. wide seawall, reconstruct the new seawall in a further landward location, and remove all portions of the existing approximately 12 ft. wide rock revetment on site; this project will serve to reduce the footprint of shoreline armoring on site by approximately 15 ft. and will increase the area of sandy beach currently available for use by the public while continuing to ensure the geologic and engineering stability of Pacific Coast Highway. Moreover, the project has been designed to incorporate additional public access and recreational improvements including construction of a new public access stairway and a separate public access ramp to the sandy beach from the road shoulder parking area on site. The existing seawall was originally constructed in 1934 and retrofitted in 1966. Construction of the proposed new seawall will include the landward placement of 605 “Cast-In-Drilled-Hole” piles, ranging from 2.6 ft. to 3 ft. in diameter. The piles will extend down to 54 ft. below the elevation of the adjacent road way and will maintain the same longitudinal footprint as the existing seawall to be demolished. The existing seawall will be removed to two feet below the lowest winter beach sand profile and all existing rock revetment will be removed. An eleven foot tall curved seawall fascia that has been designed to minimize tidal and wave overtopping will be added to the seaward side and top of the piles after the existing seawall is removed. Surfrider's 'Cycle of Insanity - the Real Story of Water' video illustrates how the water cycle, upon which we all depend, has been modified in so many ways that it has become a 'Cycle of Insanity.' 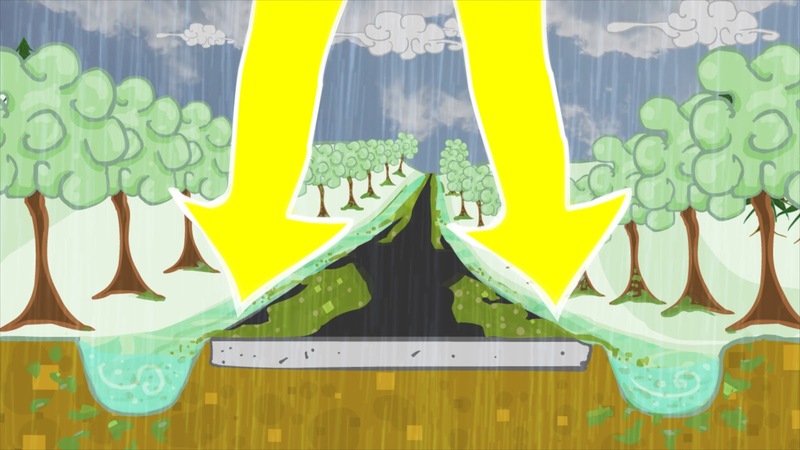 We have developed our urban areas to channel rainfall into storm drains that deliver polluted runoff directly to our rivers and coasts, wasting water that could be directed into our over-pumped aquifers. Millions of gallons of treated wastewater is being discharged into the ocean - where desalinization plants are being proposed to pump that water back out of the ocean to remove the salt and sell it as a new water supply. All of this wastes precious fresh water AND energy, further exacerbating the impacts of climate change. In the Ventura region the signs of stress are evident - but not always seen as connected. 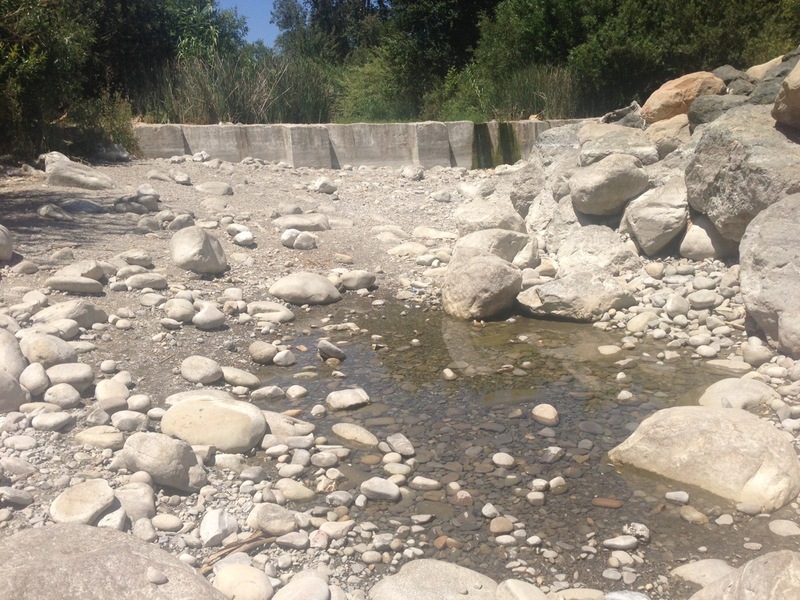 Problem: The Ventura river is dry at Foster Park while McGrath State Beach is flooded - how can this be? 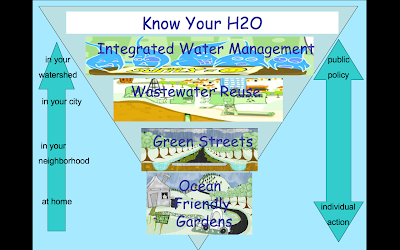 Know Your H2O - where does your water come from, and where does it go? From this simplified schematic we can see that about half the city's water supply comes from the Ventura River. The wells at Foster Park provide about 25% of the city's water, and there is a high demand from this good quality source which is used to dilute the poor groundwater from east side wells. About half of the total water used in the city is discharged as wastewater into the Santa Clara River estuary. So while it may seem 'natural' to discharge treated water into the estuary, much of it does not even originate from the Santa Clara River watershed. In dry years (like this) when the sand berm does not breach and drain the estuary into the ocean, that 9 million gallons a day keeps accumulating, often flooding the state beach. Artificial breaches have resulted in fish kills, so solutions to the flooding problem have been hard to reach. 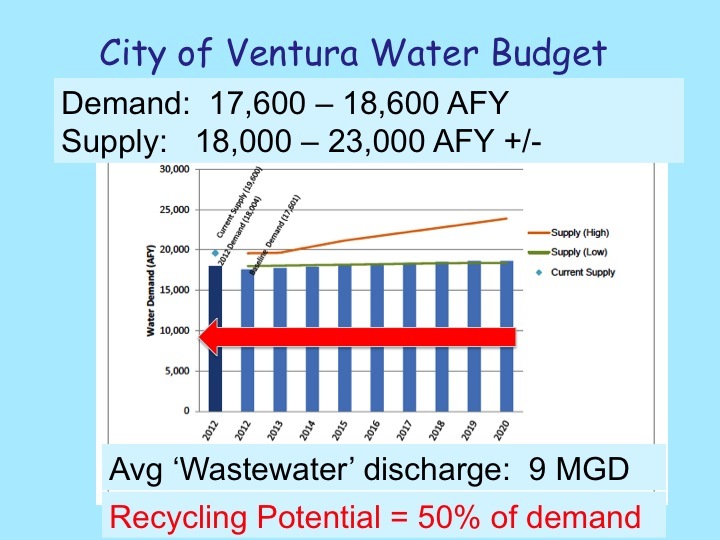 Solutions: The red arrow shows that the potential for recycled water in Ventura is close to 50% of demand. (Of course the actual volume would be less than this depending on treatment and reuse options, but this demonstrates the overall magnitude.) Therefore water recycling would provide an opportunity to reduce the flooding problem at McGrath as well as offset demand to reduce pressure on the supplies. (i.e. 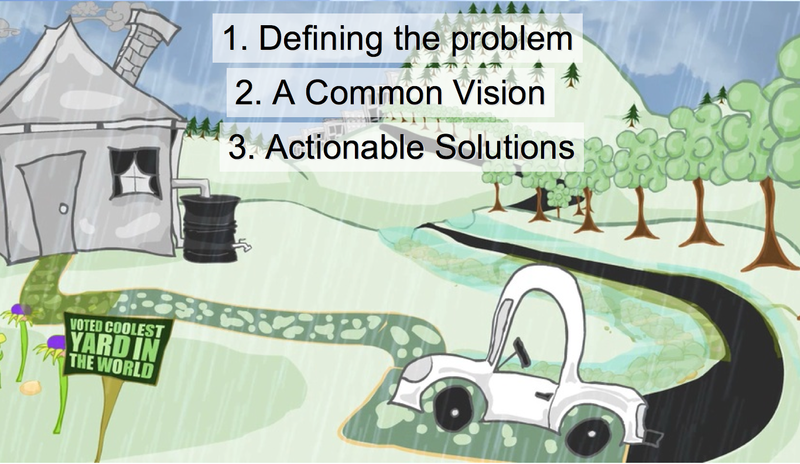 an 'integrated solution') The City of Ventura is currently investigating recycling opportunities and in the short term installing a system for controlled pumping of the estuary into the ocean. Another symptom of the Cycle of Insanity in Ventura is urban runoff. 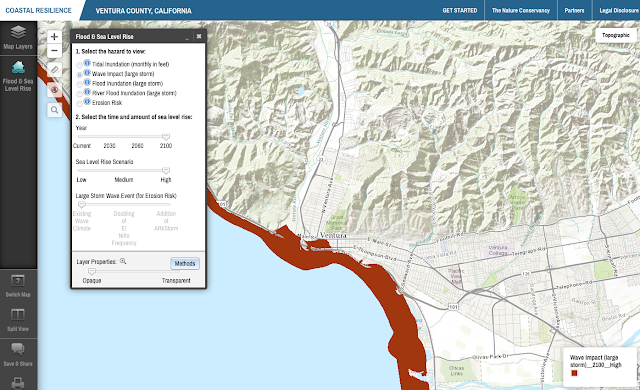 Surfrider has studied the downtown/midtown areas and mapped the underground storm drains. This infrastructure effectively directly connects to the ocean almost every gutter downspout, driveway, street, and parking lot in the area. 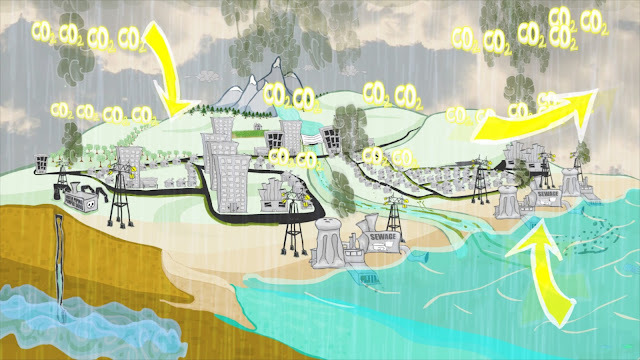 The 'impervious' landscape turns even the smallest rainfall into runoff. Problem: Within the Midtown area (Prince/Sanjon drainage) high runoff volumes flood Sanjon Road and pollute the beaches every time it rains. While individual citizens often have little control over this infrastructure, the solution begins at home. This is why Surfrider's 'Ocean Friendly Gardens' program is catching on throughout the region. Last year's Ocean Friendly Garden project in the Midtown area not only installed a residential garden, but also included the first 'curb cut' in Ventura. The 'curb cut' expands the effectiveness of Ocean Friendly Gardens into the public right-of-way, directing runoff from the street into the median where it is infiltrated into the soil. Any excess water that cannot be absorbed is filtered and released back into the street. Although the City of Ventura has been slowly retrofitting some of the urban area and planning to implement a 'green streets' demonstration project, budget cuts recently forced the city council to reverse its 2008 'green streets' policy which funds these projects. Solutions: A less costly community-based green streets approach may be to install curb-cut bioswales along an entire city block. This would capture the majority of runoff before it enters the storm drain and ends up on the beach for a fraction of the cost of an engineered green street demonstration project. This may soon become a reality in Midtown Ventura if a 'block party' can be organized! Surfrider's Know Your H2O campaign aims to educate communities about water management issues that affect the health of our watersheds, coast and ocean. Taking the time to learn where your water comes from, and where it goes when it leaves your home is a first step. 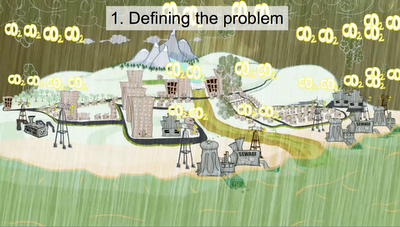 Once we understand the problems, and can see how to solve them, we can take action to make basic changes. 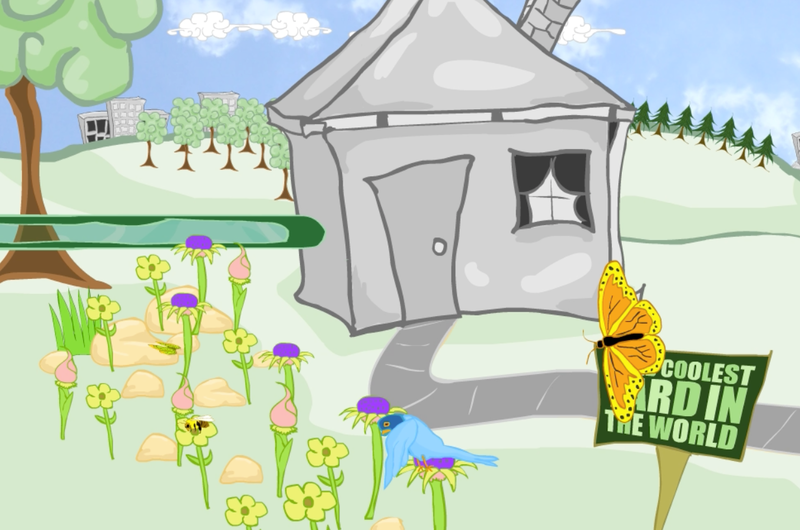 In this way a new philosophy of water management starts at home and spreads throughout our communities.